The exhibition was curated by staff from Nottingham High School working in collaboration with Manuscripts and Special Collections at the University of Nottingham. Four years after a young and enlightened Henry VIII came to the throne, a wealthy Nottingham widow championed a cause which resonates in classrooms, sports fields, boardrooms and corridors of power even to this day. With royal permission, her own donations of land and property, and the promise of support from the good people of Nottingham, Dame Agnes Mellers founded a school 'evermore to endure' for the teaching and instruction of boys in good manners and literature. 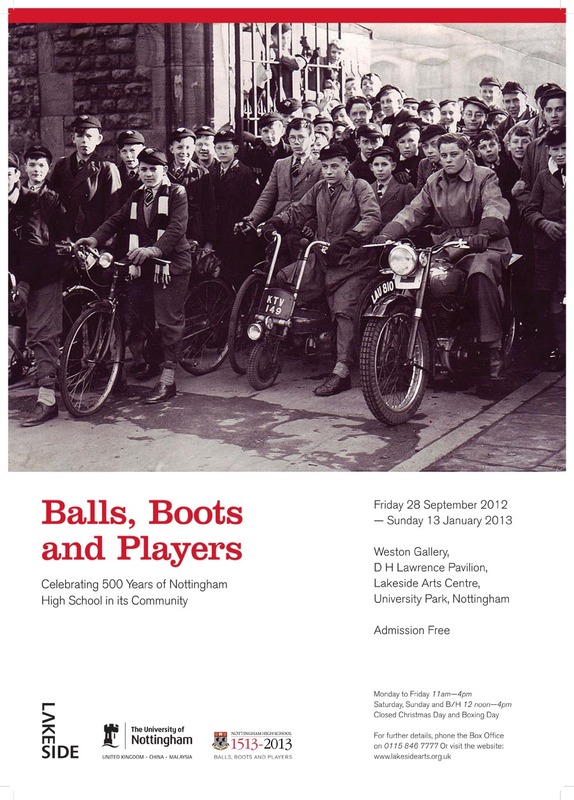 This exhibition explored the relationship between Nottingham High School and its community, illustrated through the lives of the people who belong to it. Drawing on material from the school's own archives and from collections at The University of Nottingham, the display showed how the early efforts to organise education in a small market town helped to lay the foundations for a great city driven by learning. The exhibition boards which were displayed in the Weston Gallery are available to download. Really enjoyed it and such friendly staff. A well thought-out and presented exhibition. Well done! Brilliant! Best exhibition around at the moment. Job well done!